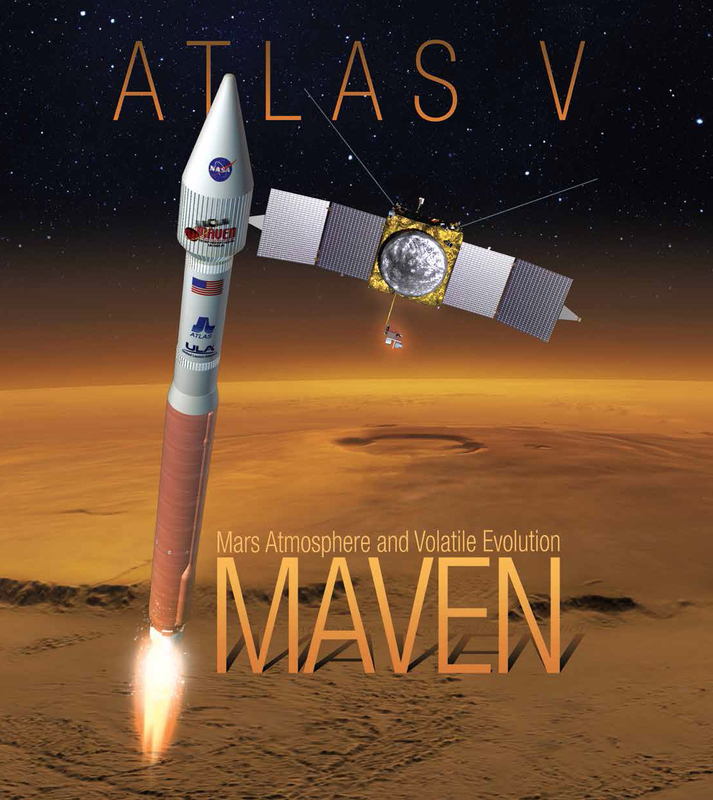 Get involved: MAVEN blast-off to Mars! UPDATE: MAVEN launched successfully on Nov 18, 2013, at 11:28 MST. For more information, please visit lasp.colorado.edu/home/maven. The LASP-led NASA MAVEN mission is set to launch aboard a United Launch Alliance Atlas V 401 rocket Nov. 18. The two-hour launch window extends from 11:28 to 1:28 p.m. MST. Liftoff will occur from Cape Canaveral Air Force Station’s Space Launch Complex 41. MAVEN is the first spacecraft devoted to exploring and understanding the Martian upper atmosphere. The spacecraft will investigate how the loss of Mars’ atmosphere to space determined the history of water on the surface. NOTE: This event is full. K-12 students will enjoy hands-on activities, including a photo booth, and will have the opportunity to win MAVEN prizes. NOTE: This is an invitation-only event for LASP employees, colleagues, and invited guests. The MAVEN Education & Public Outreach team, led out by LASP, is offering events to involve the public in the excitement of launch. As noted below, some are virtual events that those not attending launch at the Cape are invited to attend online. Launch coverage and briefings will be carried live on NASA Television and the agency’s website beginning at approximately 9:00 a.m. MST. For a full listing of coverage, please visit http://lasp.colorado.edu/home/maven/features-news/events/.